As roof plumbers we are frequently asked to recommend a roof ventilator. One of our personal favourites is the Solatube Solar Roof Vent. Non-corrosive and durable polymeric integral exhaust screen. Solatube solar roof vents come in a couple of roof mount models to suit various pitched roof types with varying roof cavity spaces. 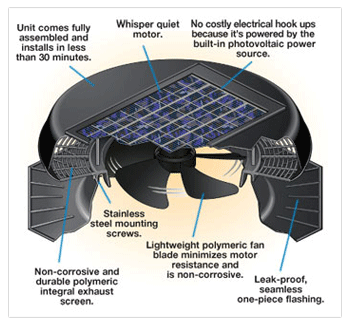 The Solar Star RM1200 roof ventilator is Solatube’s classic model suitable for low slope roofs with a smaller area. The Solar Star RM1600 roof ventilator is a more robust solar roof ventilator designed to accommodate even the most expansive of roof spaces. For example: steep sloped roofs with a smaller cavity area, steep sloped roofs with a larger cavity area or low sloped roofs with a large cavity area. The benefit of being a solar operated roof ventilator is that it will operate even when it isn’t windy – summer or winter. Why would you want to circulate the air in winter? Roof cavities should be ventilated year round. During winter, proper ventilation helps prevent condensation from forming within the roof cavity and therefore eliminating the potential for your insulation to become damp with condensation run off. Obviously in summer, the idea is to remove the build up of warm air from the space and therefore help keep your home a little cooler. 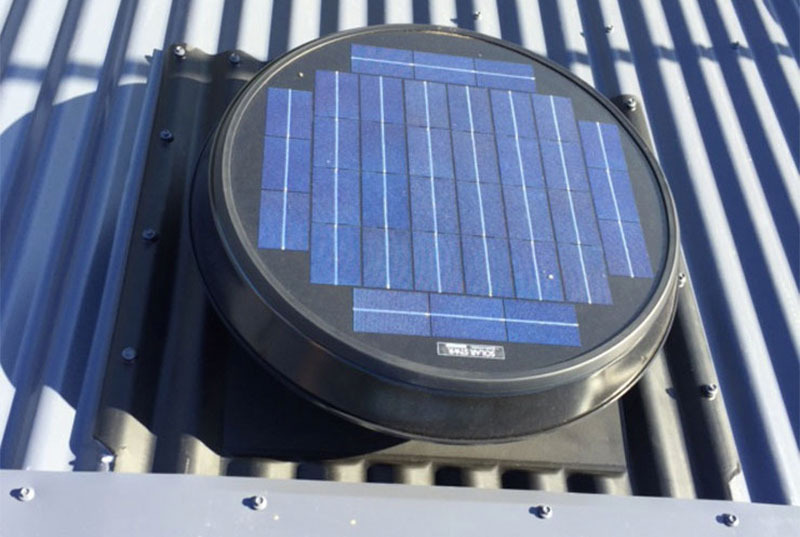 There are lots of add-on features as well to further enhance the Solatube solar roof vent. Call Roofrite on (03) 9499 8059 today to discuss your needs and obtain a quotation. Oh my god, the skylight is amazing!!! I am so glad Kim went through the effort of making it work where others told us only a sun tunnel could be installed. It has absolutely transformed our hallway and makes me happy every time I walk in and out of the house. I’ve attached a before and after photo – maybe that’ll come in handy one day on another job, I found it so hard to picture what light it would create. Our hallway is 9m long and 1m wide with high Victorian ceilings. Also, the boys on the job, particularly Jamie, were a delight! They were courteous, articulate, careful and cleaned up very well.